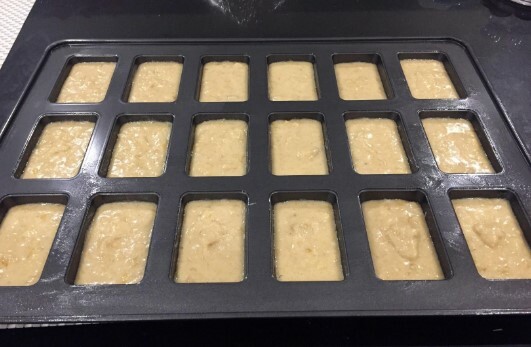 One of the best loaf pans available on the market is the Wilton Mini Loaf Pan. With this pan, you can easily cook dozens of mini loaves or brownies for yourself or the whole family. Wilton makes a variety of bakeware that are favorites of most novice and experienced bakers. The company’s products feature a non-stick surface and have up to 10 years of warranty. 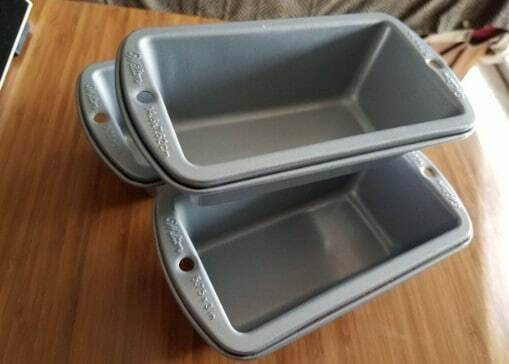 In this Wilton mini loaf pan review, we will look at all the loaf pans by Wilton and how they fare in the kitchen. 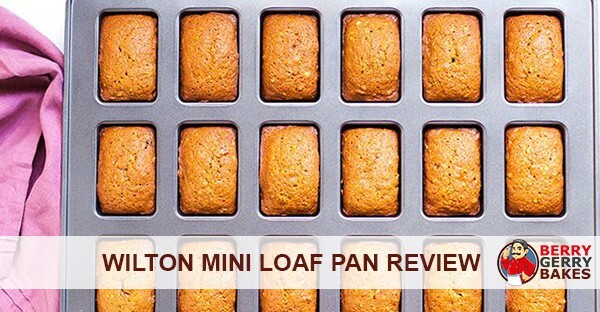 The Wilton mini loaf pan allows you to cook perfectly-shaped loaves easily. The bread size will be small for one person but of the right shape. Although this pan is quite heavier than other pans, its quality makes it a perfect choice for personal use or to give as a gift. 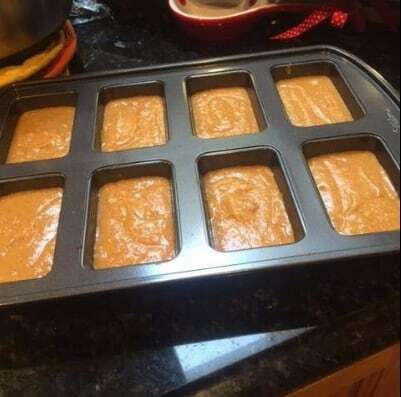 Let’s have a brief look at this loaf pan. 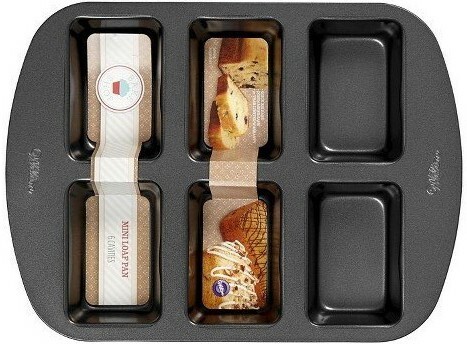 This mini loaf pan enables you to prepare special meals for the whole family. You can use it to bake a wide variety of dishes including cakes, loaves of bread, cookies, meatloaves, candies and more. The pan measures 9.8 x 5.4 x 2.6 inches and is made from stainless steel. The stainless steel is coated with a non-stick material that makes it easy to remove any baked goods. Nonstick surface – It’s easy to release the loaves. Square-shaped cavities – The mini bread loaves look lovely. These pans are dishwasher safe. However, they rinse out in the sink in an instant. Therefore, there may be no need to stress them through a dishwasher cycle. The pans have holes punched into both ends, in case you would like to hang them. Wilton also offers 3 piece nonstick mini loaf pans. These pans have all the excellent features we have listed above. Each pan measures 5.7 x 3 x 2.12 inches and is made of stainless steel coated with a nonstick material. The pans have wide handles, which are suitable for gripping with oven mitts, you can use the pans to make homemade bread, cornbread, and pound cakes. The Wilton 4 mini loaf pan is made of stainless steel and coated with a non-stick material. The pan measures 14.8 x 8.8 x 2.2 inches and its cavity size is 5.75 x 3 inches (14.6 x 7.6 cm). This pan is dishwasher-safe and is sold with a 10-year warranty. You can use the Wilton 4 Cavity load pan to bake homemade pizza, cookies, carrot cake, muffins, and more. This pan has convenient handles that make it easy to hold and a plastic cover that will come in handy when you need to take your baked goods with you on the road. If you fill the individual pans very full and the bread continues to rise after being put in the oven, their side may stick. With traditional bread pans, you can move them further apart to prevent the sides from sticking. Getting the bread out of the pan requires you to tip all four loves out at once. The only exception is if you have really dense bread that you can lift out one at a time. If you have soft bread that cannot be lifted by the top, you will have to top them out all at once. The Cavity 4 pan has no seams and its solid cavity are easy to clean. We recommend putting parchments paper in the bottom of the pan to prevent the bread from having a darker, crustier bottom. In case your recipe ends up filling only three pans, you can fill the fourth one with water. The Wilton 6 cavity mini loaf pan is perfect for making mini loaves. With this pan, you can bake fresh bread, sweet bread and mini meatloaves for breakfast, as a dessert or a snack. You can also wrap a few loaves as gifts for your family or friends. The Wilton 6 cavity mini loaf pan allows you to make six loaves at a time. The appliance is made from durable stainless steel and coated with a non-stick material. The material is rust and warp-proof, easy to clean and dishwasher safe. The pan measures 1.42 x 12.3 x 9.1 and comes with a 10-year warranty. The Wilton 8 Cavity mini loaf pan is perfect for making cakes, bread and more goods. Whether you prefer individual crustless quiches, mini pound cakes, zucchini bread loaves, or mini banana nuts, this is the pan for you. The loaves come out straight across, and not smaller on the bottom than the top like is the case with some mini loaf pans. With the Wilton 8 mini loaf pan, you can make excellent small holiday loaves for family and coworkers. This baking pan is made of steel and features a non-stick coat that allows easy release of your goods and quick cleaning. The pan measures 1.6 x 10 x 15.1 inches (25.4 x 38.1 cm) and its cavity size is 3.8 x 2.5 inches (9.7 x 6.4 cm). The pan has oversize handles that provide a better grip and make it easy to go into the oven. The Wilton bake pan is dishwasher safe. However, it is advisable to wash it in warm, soapy water before first use and after every baking session. The baking appliance is sold with a 10-year warranty. The Wilton 18 cavity mini loaf pan is a mega pan. This nonstick pan allows you to make 18 mini loaves, which release easily when cooked. The pan is made of stainless steel and is dishwasher safe. The Wilton 18 cavity pan measure 1.4 x 21.5 x 15.5 inches and its cavities measure 3.75 x 2.25 x 1.25 inches (9.5 x 5.7 x 3.2 cm). You can use the pan to make delicious cookies, cakes, loaves and muffins. This pan will help you maximize your oven space and save time when making goodies for many people. The 18 cavity pan cooks bread on the edges evenly and does not burn them. Moreover, it cleans up well, especially if you use paper liners. You do not have to spray anything on the pan to prevent your goodies from sticking. If you are looking a time saving, easy to wash, easy to cook with multiple loaves at a time, this one is the best for you. Perfect heat-resistant quality.